Abundant Bacteria are found in the mouth and can cause plaque by mixing with saliva and food particles. Consumption of carbohydrate-rich foods like sugary beverages and candies helps these bacteria get the energy they need by converting the carbohydrates into energy and simultaneously producing acid. Plaque can be removed by brushing regularly but if it is left untreated, it results in the form of rotten teeth. Tooth has three parts; the outer white hard surface of the tooth is enamel. This is a visible part that can be seen. Second is Dentin; a hard, yellow-coloured layer under the enamel. The third part is Pulp which is soft inner living tissue in the tooth that contains blood vessels and nerves. The enamel and dentin give the structure of the tooth and enclose and protect the pulp. The bacteria streptococcus mutans and streptococcus sobrinus are chiefly responsible for dental cavities. Bacteria gather around the teeth and gums in the form of plaque. Plaque forms mostly in grooves on the teeth and in the sulcus. Tooth decay can also take hold when the roots of teeth are exposed from gingival collapse or periodontal disease. Demineralization is the loss of minerals from teeth, resulting in their decay and breakdown. Remineralisation is the reformation of the teeth from magnesium, calcium and other minerals in the saliva. 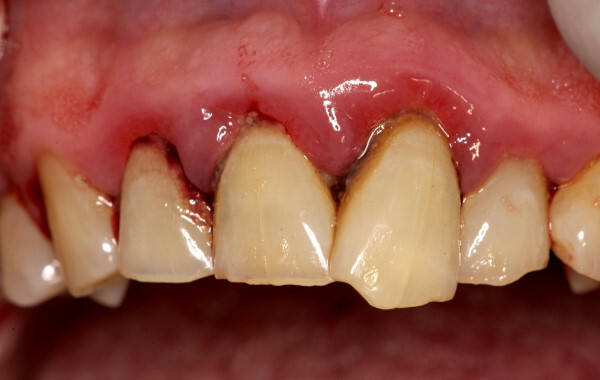 When the pH on the teeth falls below 5.5, Demineralisation takes place strongly due to a highly acid environment. 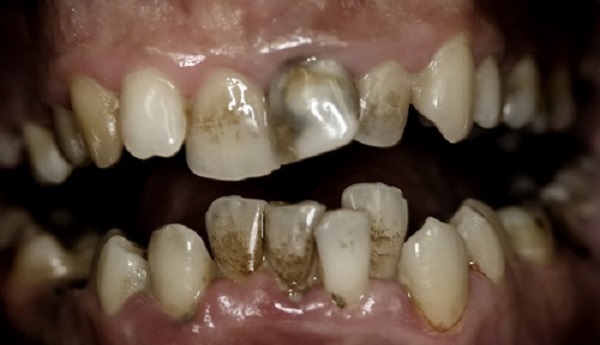 In this case, demineralisation exceeds remineralisation, and the hard enamel gradually breaks down, producing holes in the teeth. It can take years before a cavity shows in the tooth enamel. Decay develops faster once the cavity gets through to the cementum, because the cementum is less hard and it can quickly reach the tooth’s root. Tooth Decay is serious, painful, and may result in the loss of the tooth. See the dentist in case of having symptoms above. If tooth decay doesn’t get treatment, cavities could get worse. 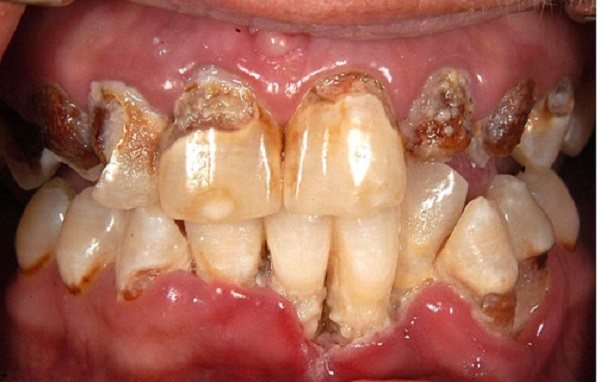 Rotten teeth are not only dangerous for your health but they look just awful. Many people think that this stage is not a problem but belive me , its enough to make your teeth completely destroyed. The appropriate treatment for tooth decay depends on severity of condition. It may be treated effectively if tooth decay is diagnosed timely before a cavity forms. As seen in the pictures rotten teeth are not a pleasant sight. So below are some of the treatment options to prevent rotten teeth and heal tooth decay. Fluoride treatment can assist in repairing the enamel if the cavity is quite fresh. Fluoride treatment is accessible in the form of varnish, foam, gel or liquid to brush on teeth. This treatment may take few minutes. Crowns are essential for tremendously weakened teeth. Dental crowns are accessible in a number of materials like resin, porcelain and gold. 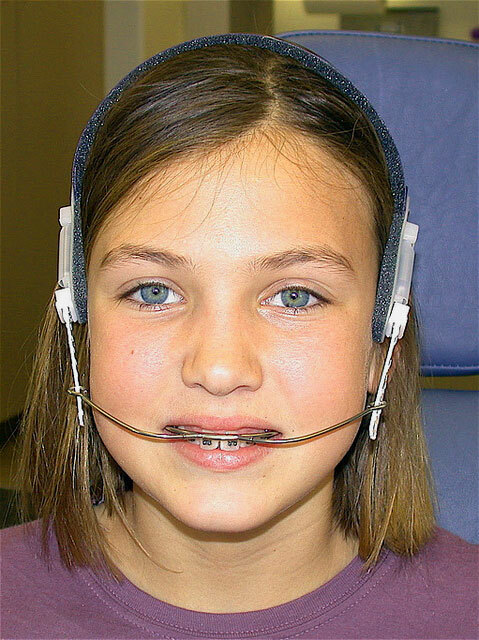 It is a custom made covering that fits on top of the tooth’s natural crown. Fillings are refurbishments that are used if tooth decay has progressed further and has eroded the enamel layer. Fillings are normally done with a composite material. Composite resin and porcelain can be made to match the color of teeth, so it is not noticeable that dental work has been done. When the tooth decay reaches the pulp present inside the tooth, root canals become important. This treatment technique can save as well as repair an infected tooth by eliminating the diseased tooth pulp and replacing it with a filling. In case of rotten teeth or if the tooth gets decayed enough that treatment is impossible, it has to be extracted. Tooth extractions cause gaps in between teeth which can be filled by using dental implants or bridges.